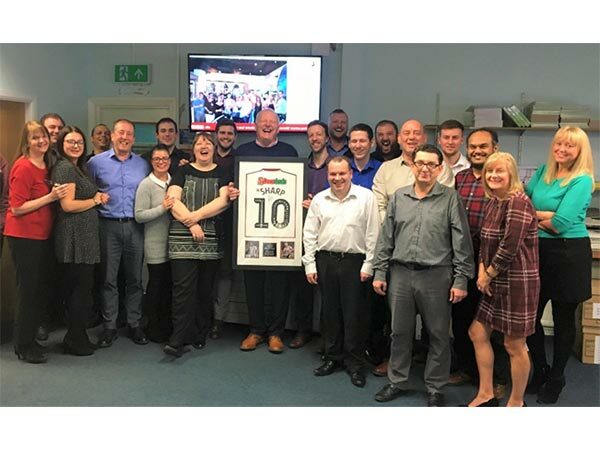 Mar21 2019 Retirement – UK Business Specification Manager retires after 31 years’ service. Mark Laughton, our Business Specification Manager received a send-off from his colleagues in the Rotherham headquarters of Prospec today Thursday 21st March 2019. Mark has worked for the company since 1988 and has been a valued friend and colleague to all during his 31 years’ service. A keen lifelong Sheffield United supporter, Mark intends to enjoy his retirement as a season ticket holder at Bramall Lane, and assures us all that his beloved Blades will be bringing Premier League football back to Sheffield next season! Among his farewell gifts, Mark was presented with a signed and framed club shirt by Prospec Managing Director Andrew Peach who also led the round of applause at the end of Marks emotional farewell speech. Best wishes also go to Mark from many of his customers, who hope he will now enjoy his well-earned retirement. Feb15 2019 Rhyl's new SC2 Leisure Park is shaping up as water is pumped into pool. The pool has been filled at Rhyl's new £15m attraction ahead of this year's opening. A sneaky peak into the leisure facility's construction has been revealed showing how the flagship leisure facility is taking shape. 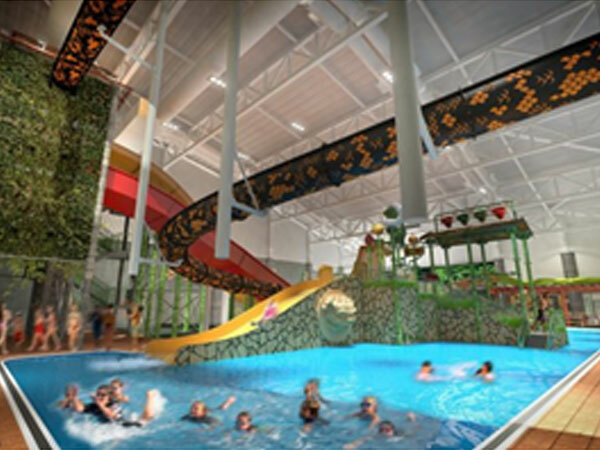 It will boast a water park and Wales' first TAG Active obstacle course arena, complete with Prospec’s lockers and cubicles throughout this exciting facility. SC2 is expected to attract an extra 350,000 visitors per year to the town and will also create around 65 new jobs when it opens on April 5, 2019. Formica in North Shields has new owners after being sold by its New Zealand owners as part of a deal worth more than £660m. Fletcher Building has owned Formica Group Europe, including the Coast Road factory, for 11 years and has made numerous improvements to the North East operation, including a multimillion-pound renovation of the building which was completed last year. 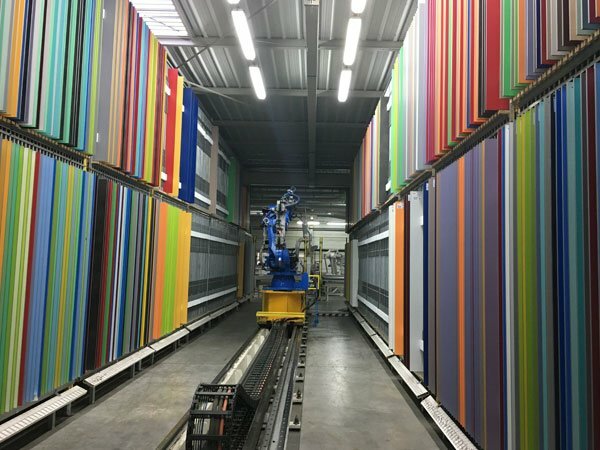 There is a 500-plus workforce at the laminate manufacturer’s regional base, which is also the European headquarters for Formica, but it is understood that investment will continue as planned and that it is business as usual at the factory. 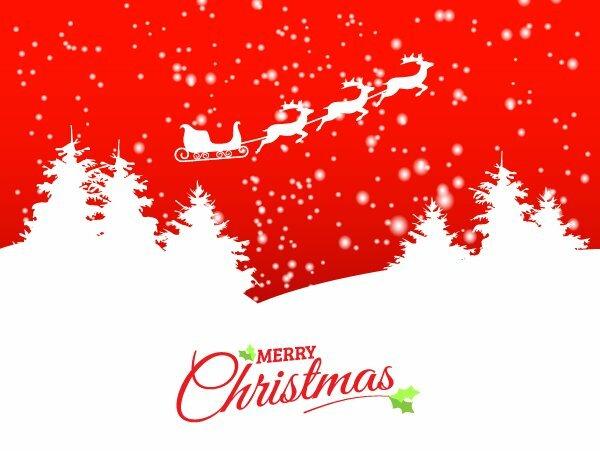 Our last working day before Christmas will be Friday 21st December, which makes our last day for despatch of stock items Thursday 20th. We are open on Wednesday 2nd January. The vision of founder Mark Anthony, First Light opened its doors within the new extension to the Westfield Centre and houses 3 studios, the largest of which holds 68 bespoke bikes and the Magic Mirror system which visually transports riders as far as Manhattan, Ibiza, Africa, Rio and Dubai in an immersive cycle experience. Stand A52 is where you will find us with our Exciting new Sprint cubicle system Club, along with our Marathon Glass Lockers and the real wood veneer full height flush fronted More Cubicles. 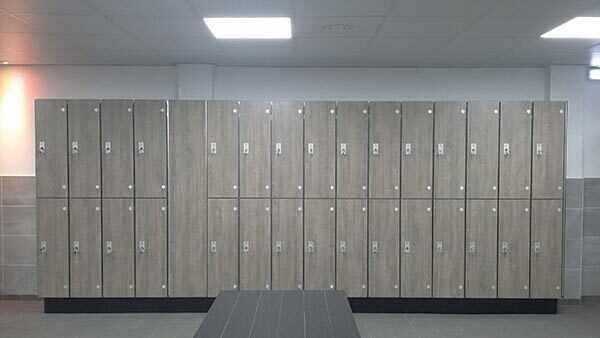 Alongside a state-of-the-art gym, new studios and reception area, Prospec provided the male and female changing areas with our Marathon Laminate Wet Lockers. 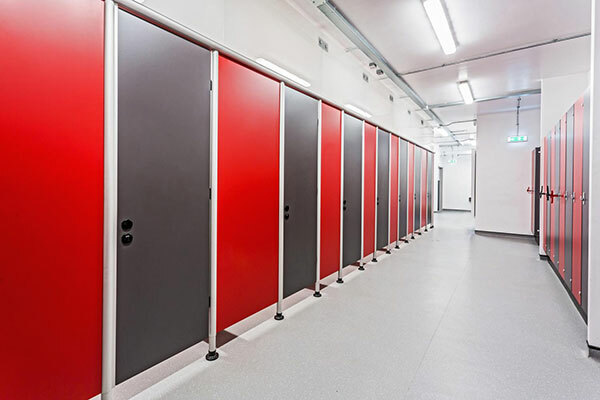 Featuring Prospec coin return removable cylinder locks and finished in solid grade laminate woodgrain doors, the lockers come with an aluminium carcass with radius rear corners for ease of cleaning in busy public facilities. Congratulations to Pellikaan Construction and GLL on a stunning project! Prospec are excited to be showcasing our market leading Cubicles and Lockers at London’s largest construction exhibition on 23rd and 24th October, 2018! Come and visit us at Olympia in the Interior and Fit-Out Zone on stand A52 and speak to our Business Development Managers. Laura King and Lee Walker will be happy to discuss your ongoing and upcoming projects and see what Prospec have to offer you. Prospec are pleased to introduce our newest Panel cubicle range, Sprint. Featuring, exclusive to the UK Market, a 30mm Flush Fronted system which is available in both Dry and Wet area applications, alongside a 40mm Flush Fronted Cubicle with a hardwood rebated edge and a strong, durable 13mm Solid Grade Laminate system perfect for demanding environments. State of the art Laser Edgebanding of a 3mm Polypropelene strip to panel edges increases moisture resistance and dirt ingress, giving an invisible adhesion and flawless joint. Including aluminium profiles and headrails, Sprint comes in Prospec’s vibrant range of 25 Colours and the new systems can be delivered in as little as 4 weeks!! Simply pick your cubicle, choose your colour, tell us your dimensions and leave the rest to us. All cubicles are prefabricated so can be supplied with a comprehensive fitting guide on a supply only basis, but are also happy to install. If you require the expertise of our trained installation team, do not hesitate to ask. Approaching its second anniversary in September 2018, Graves Health and Sports in Sheffield is a state of the art health centre providing users with swimming, studio, gym, tennis, gymnastics and trampolining facilities. The £16m development was funded as a partnership between Sheffield City Council, Sport England, Lawn Tennis Association, British Gymnastics and leisure operator Places for People. Click here to view more about the Graves Health and Sports Centre. Prospec installation team completed on site at the new Gymbox due to open very soon! Another striking installation of Cabrillant Cubicles in toughened Opti White glass for a truer colour and Glass Wet Lockers with hasp and clasp locks. 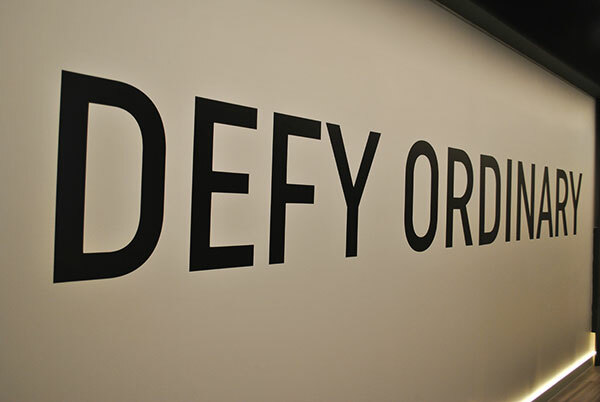 Click here to view previous installations at Gymbox. South Yorkshire’s Fire and Rescue in Sheffield has recently undertaken a full refurbishment to create a modern and efficient Headquarters. This newly refurbished facility enables the service to encourage colleagues based around the UK to train in a high quality and modern HQ. 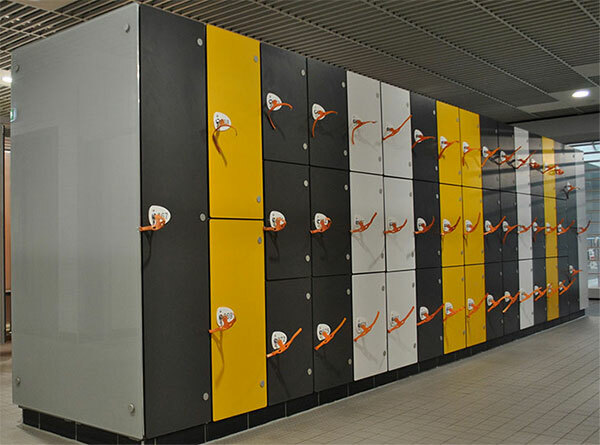 The client required a bespoke design and installation solution, The project showcases Prospec’s Laminate wet lockers each with a £1 coin return lock accepting both the new and old £1 coins. Furthermore, Prospec installed the Marathon Classic cubicle system with toughened glass transom panels above each cubicle to give each user more privacy. Inside each cubicle there is a bespoke Cabrilliant toughened glass internal door giving each cubicle a separated shower and dry area. Other products included Trojan solid grade laminate vanity units and grooming shelves, and floor to ceiling IPS (duct panel systems) which can accept product by all major sanitary ware manufacturers. The results of this bespoke design, developed together with Castle Owen Architects and installed by Prospec under contract with Kier Construction, showing what can be achieved with a quality product range and a keen eye for detail. Prospec would like to congratulate our Operations Manager, Allyson France, on the completion of her IOSH Managing Safety training course. The wellbeing of our employees and those we work alongside is of paramount importance to everyone at Prospec. Understanding responsibility, accountability and hazards in the workplace through key risk assessment and management systems, Ally enables us to provide a working environment that is significantly more supportive and caring. Prospec is very proud to have completed our works on the refurbishment at Riverside Leisure Centre, Norfolk. 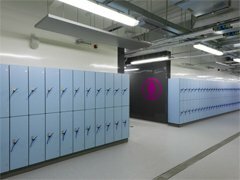 The Members Change area has undergone a complete redevelopment and is fit out with Prospec Conform Cubicles and Laminate Wet Lockers in Solid Grade Laminate from our unique and dynamic range of colours . 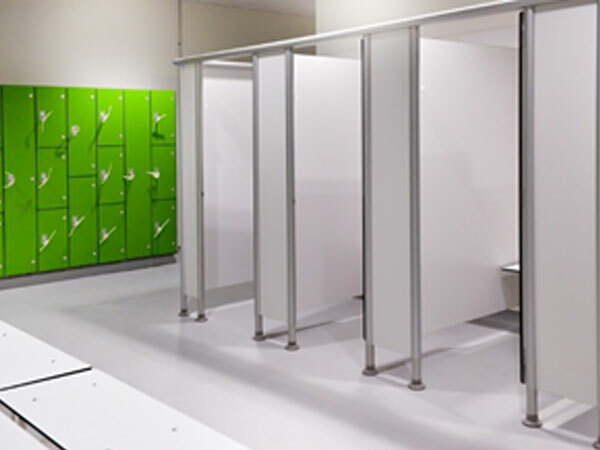 Along with our supporting Trojan Vanity Units, Grooming Shelves, Duct Panelling and Marathon Bench Seating, the members can look forward to the quality and standard of facility demanded by both the client, the operator and happily provided by Prospec. 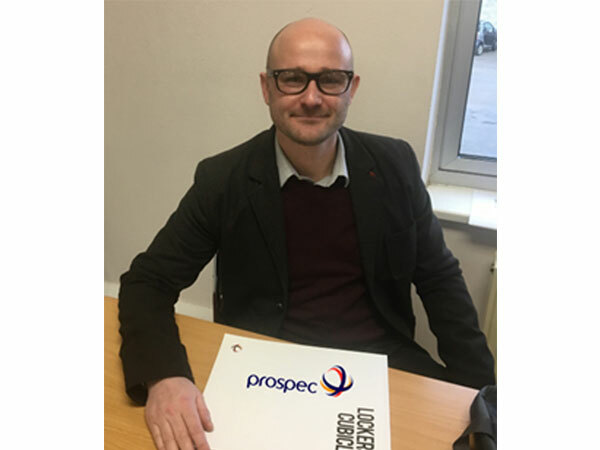 Prospec Ltd are delighted to announce Mathew Remai as our latest Sales Executive for the North Region. Mathew will be internally based, working on existing projects, generating new business and discussing our products with our clients. We are pleased to announce that Vian Ibrahim has joined Prospec as a CAD Technician. Vian studied BEng Civil & Architectural Engineering at University of Salford. She joins us with extensive experience of using AutoCAD, Revit and Solid Works including the building of BIM models. We are pleased to welcome Vian to Prospec. For help and information about Prospec products and services please contact us on sales@prospec.co.uk or call us on 01709 377147. We are delighted to announce the arrival of Lee Walker who has joined Prospec as a business development manager. 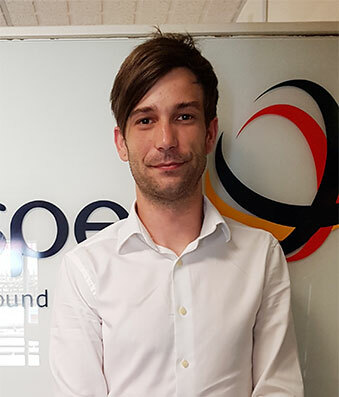 Lee is a qualified engineer and an experienced locker and cubicle specialist, we are pleased to welcome Lee to the Prospec family and wish him every success in his new role. 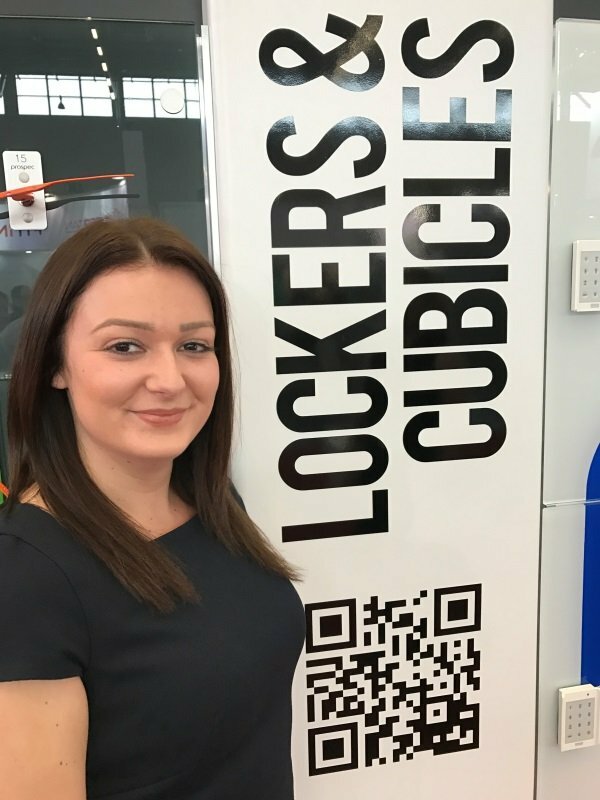 You can contact Lee to discuss your requirements for cubicles and lockers by emailing lee.walker@prospec.co.uk or visiting our website www.prospec.co.uk. Prospec’s latest, full height range brings together all that we’ve learnt about cubicle design, manufacture and installation over the course of last forty years. That’s why we call it MORE. With so much to offer, no other name seemed to do it justice. 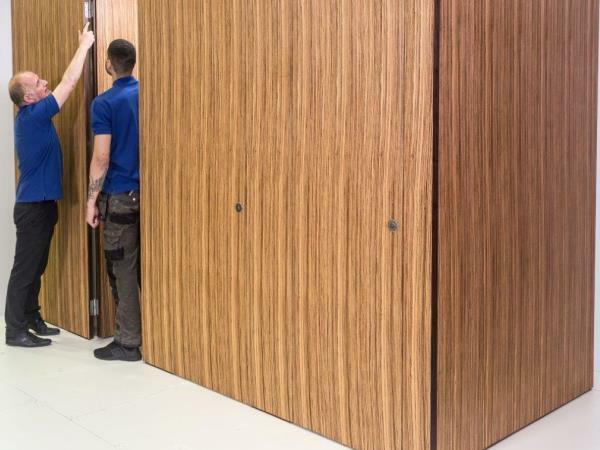 A full-height cubicle system with a huge range of beautiful, real wood veneer finishes or High Pressure Laminate in a whole spectrum of RAL colours. Click the image for More information. Currently Prospec Ltd are in the process of training 4 apprentices to become fully qualified fixers. Jake, Josh, and Oliver are progressing and working towards an NVQ Level 3 in Joinery and Luke will be progressing onto Level 3 Carpentry and Joinery after the completion of his current course. Here at Prospec, we take pride in our openness to apprenticeships and strive to develop a motivated and skilful workforce. After their NVQ Level 3 qualifications are completed, our apprentices will be able to work full time at Prospec and continue to contribute to the many great projects we have completed over our 30 year history. On Friday last week, Prospec Ltd took part in Christmas Jumper day, donning our own festive woollies to raise money for the Weston Park Cancer Charity. Their tailor-made Cancer Research Centre is partially funded through donations and charitable gifts, and is fully incorporated within Weston Park Hospital. The centre is recognised as a pioneer of many new developments within the field of cancer research. Dealing even closer with the debilitating effects of cancer are the patients and their families themselves whom with your donations can receive the help and treatment they are entitled to. Your jumper will make a difference and so will your generous donations. 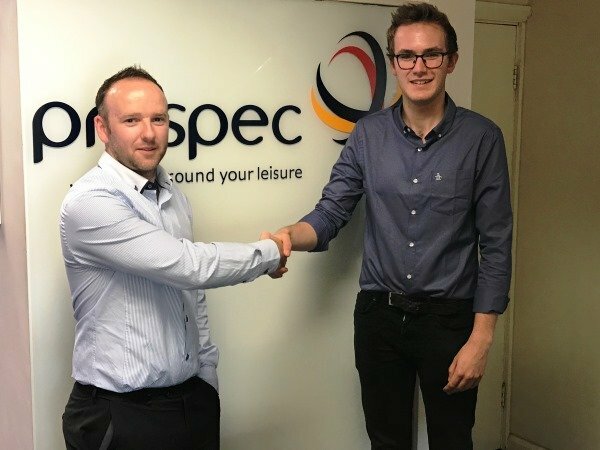 Prospec Ltd would like to say well done to Jack Wiggett, our newly qualified CAD and BIM Technician. 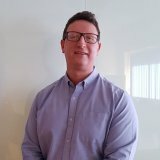 Jack has worked for Prospec for nearly 4 years and has recently completed a course to support him in his technical role. 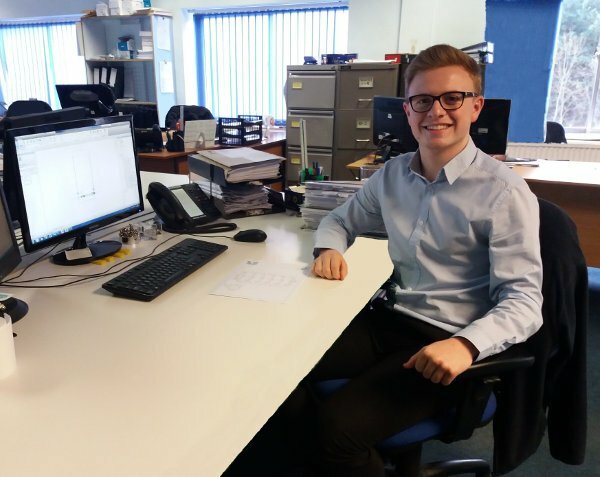 Attending an evening class each week for one year at the University of Derby, Jack has studied hard and has now achieved a University Diploma in CAD & BIM (Architecture). Congratulations and well done Jack from everyone at Prospec!. 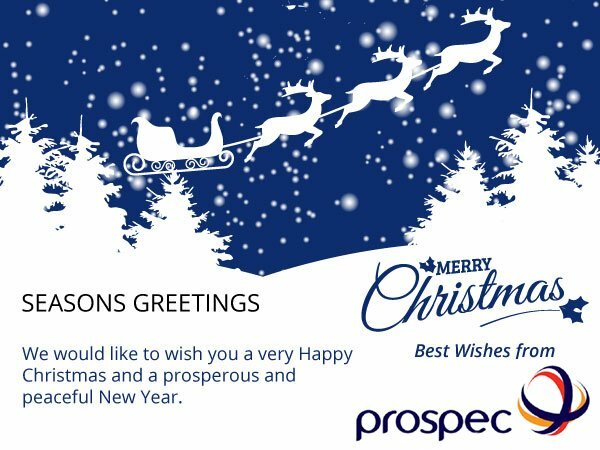 Dec04 2017 Merry Christmas From Everyone at Prospec Ltd! 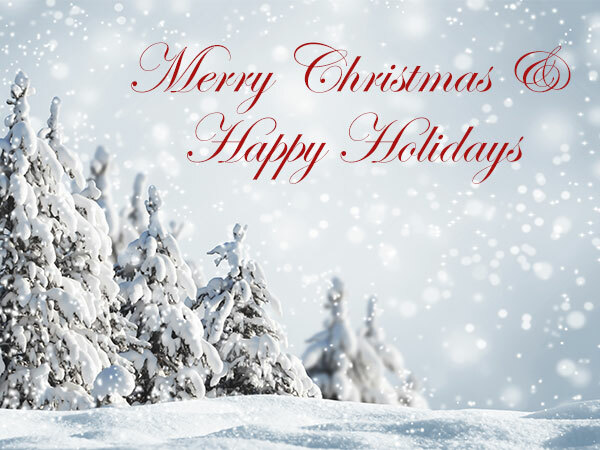 At this time of year we would like to thank all of our customers, staff, and suppliers for the business we have delivered together during the course of 2017, and wish you a very Merry Christmas and a Happy New Year! On Friday November 17th, Prospec Ltd showed support for Children in Need by raising money for this great cause. 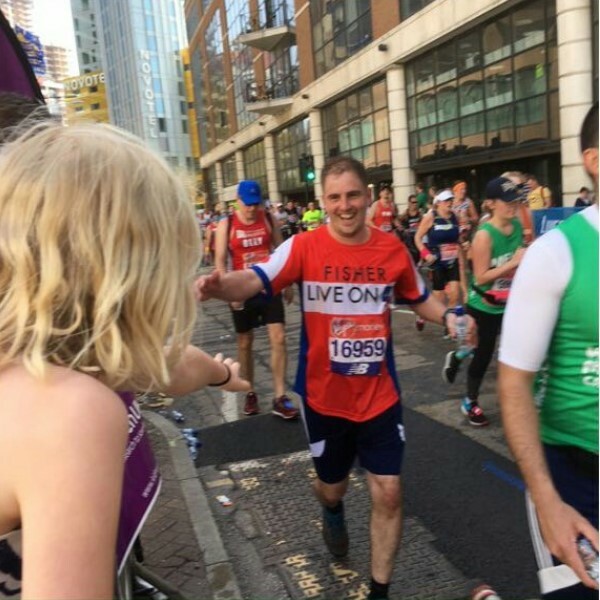 We have raised money together to support disadvantaged young people and children throughout the UK. All year Children in Need put that money to work, funding inspirational ideas and projects, working across a range of disadvantages, such as poverty, abuse, disability, and distress. Prospec raised money by dressing down, dressing up, participating in the duck race and selling treats to raise £145.00 plus £36.25 gift aid. 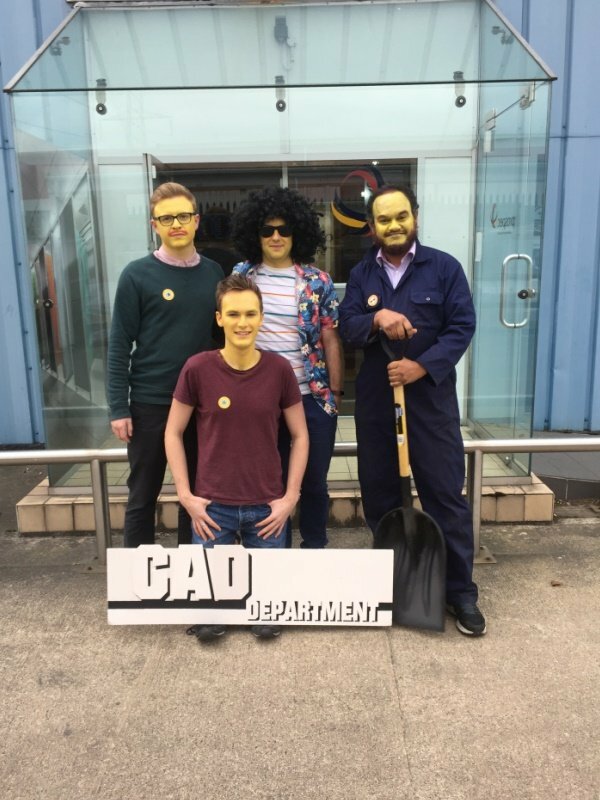 Our Prospec CAD team really got into the spirit of Children in Need, dressing up as The Simpsons! Should you wish to make any further donations, please follow the link https://mydonatetelethonsappeals.bt.com/donate/cin2017/. 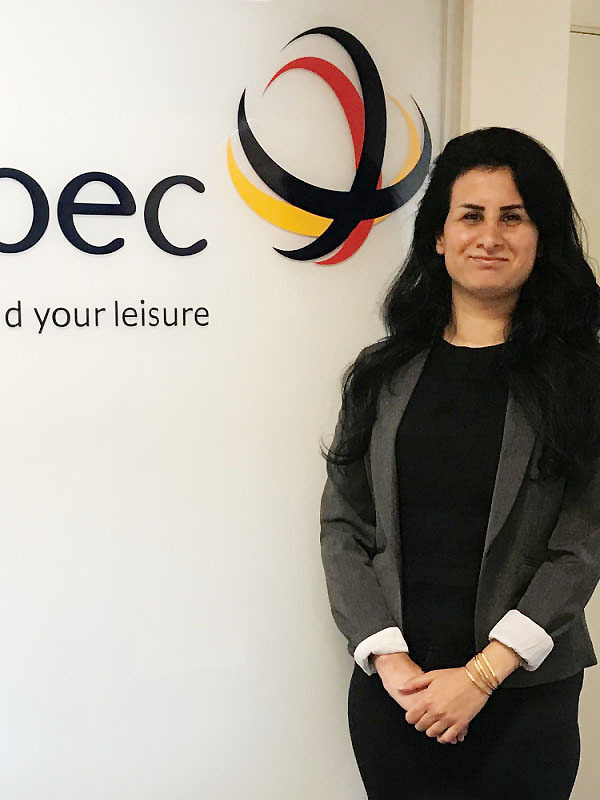 Prospec welcomes Bianca Modoranu who joins us as our new Business Development Manager for the South region. With over 4 years experience in Sales and furniture design Bianca will be an asset to the established Prospec team. 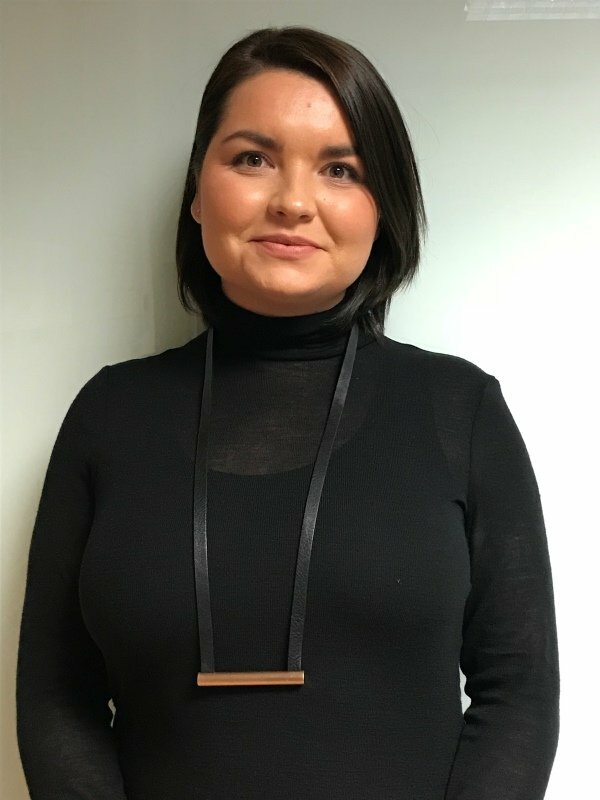 Bianca’s key roles will be promoting and demonstrating the benefits of Prospec products to Clients, Architects and Contractors, delivering CPD presentations and carrying out site surveys for quotation purposes. Prospec extends a warm welcome Bianca. Should you wish to book a CPD presentation with us, please email marketing@prospec.co.uk. Due to the continued expansion we are keen to appoint an experienced HR Manager. You will be based in Rotherham with some UK travel as necessary. Your role will be to support the team and add value to the business by introducing good HR practice and policy. You will report into the UK MD but will have some strategic links with our parent company Abeo based in France. As of the 16th October 2017, the old £1 coin is no longer legal tender… Still got old locks? It isn’t too late! 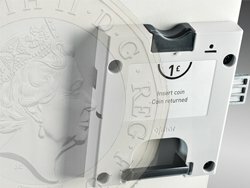 Prospec’s £1 coin return locks are compatible with the new £1 coin and are installed by our own Maintenance team to keep you up to date. 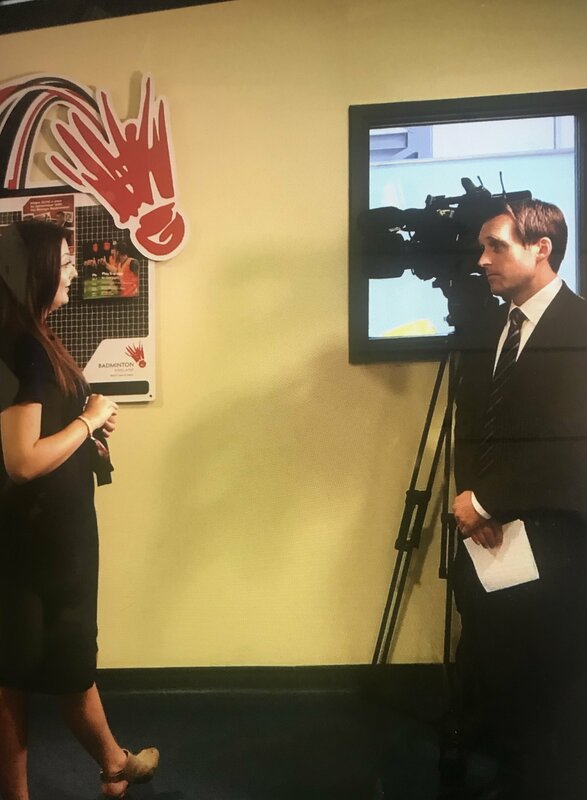 Furthermore Laura Mellars, Prospec’s very own Business Development Manager, engaged in an interview with the BBC on the new £1 coin, explaining how we have implemented alterations to accommodate for this change. Laura explains how many of our customers are satisfied with our rapid response to these conversions and how Prospec products can be found installed in many leisure centres across the UK. Please send your enquiries to maintenance@prospec.co.uk for more information. We would like to take this opportunity to announce that Prospec Ltd are now live on Instagram! 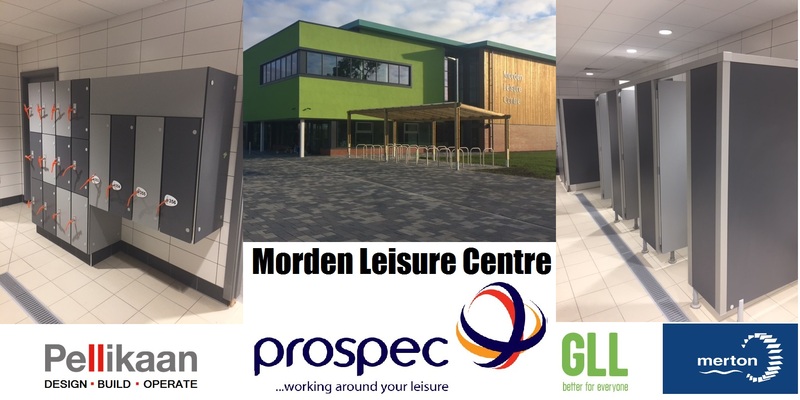 Prospec will be bringing you up to date regularly, with completed projects and updates from us within the leisure industry. 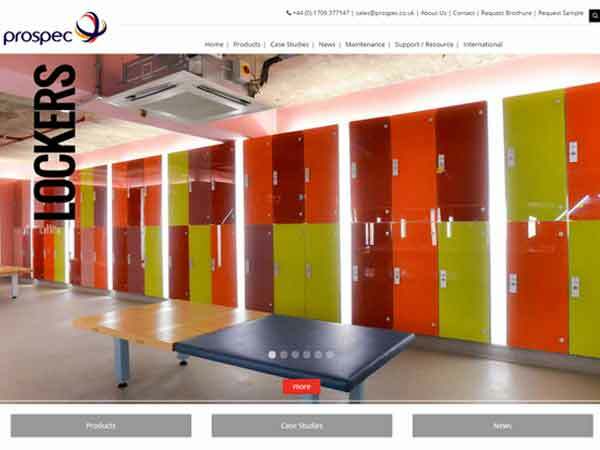 Please do not hesitate to follow us on our other forms of social media such as Twitter, LinkedIn and Pinterest to see our new installs and our latest case studies, which show off our vibrant lockers and cubicles to their full potential. 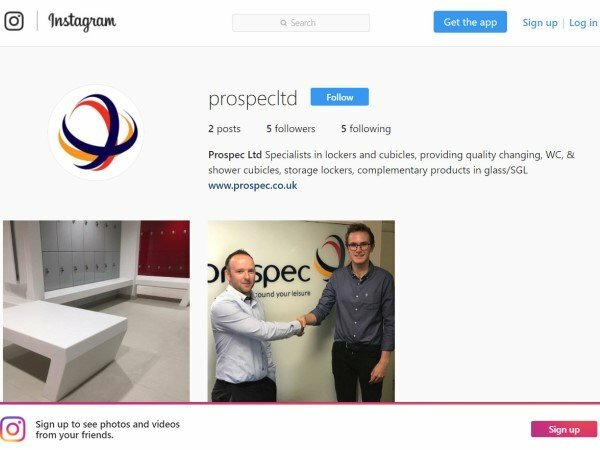 Please follow us on Instagram by typing in our username @prospecltd and begin to browse our profile. Prospec Limited are very pleased to welcome Andrew Peach as our new Managing Director. 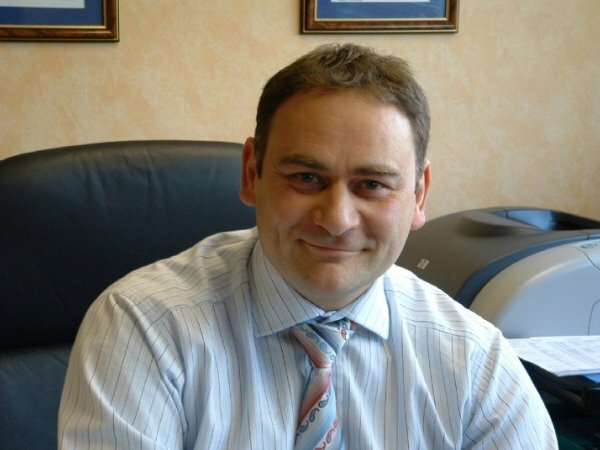 Andrew has joined Prospec Limited from CRH FSG (UK) Ltd, where he was Managing Director. Andrew has taken over the reins from our previous MD Bob Mitchell who is retiring after 35 years at Prospec. We all look forward to working with Andrew to continue developing our products and services and thank Bob for his loyal service and achievements and wish him all the very best for his retirement. Also there is one more position at our Rotherham HQ for a talented Quantity Surveyor. Please send your CV, cover letter, and salary expectations to vc@prospec.co.uk (no recruitment consultants). We are pleased to welcome Tom Fox to Prospec's CAD department. Tom is joining us on placement from Sheffield Hallam University, where he is studying Mechanical Engineering. Tom will be mentored by our CAD manager Tom Yeoman (left) and will soon be creating drawings for some of our projects. We are very pleased to welcome Tom. For help and information about Prospec products and services please contact us on sales@prospec.co.uk or call us on 01709 377147. 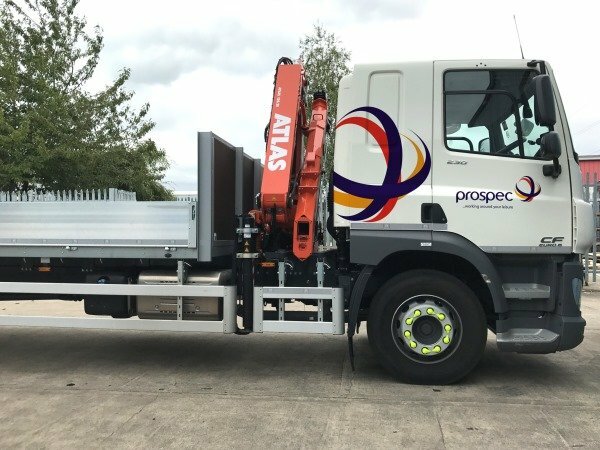 This 18 tonne drop side lorry is the newest addition to Prospec's vehicle collection. Our new truck features a Hiab function crane which allows for the loading and unloading of large items, therefore permitting our fixers to unload our materials without any strain or difficulty. Another benefit of this is that it reduces man power needed on site, lowering costs and allowing Prospec's fixers to attend to more projects. We like our new truck! We are delighted to introduce Emily Howkins, our newest member of the team. After working for three years in the Prospec Maintenance department, Emily is excited to take on a new challenge in the Prospec Marketing department. Emily is already busy writing up some of our latest case studies and booking CPD's. 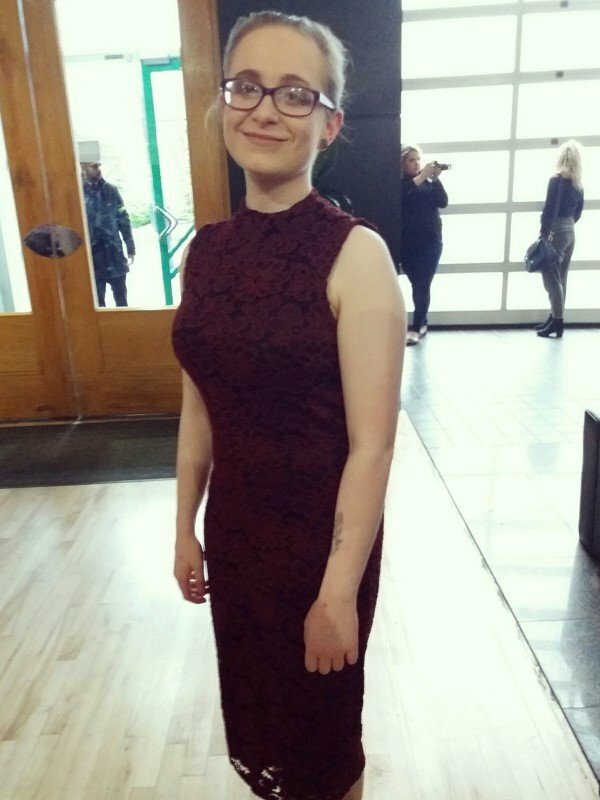 Congratulations and welcome Emily! WOW! Image taken at Forbury Place, a project completed yesterday by Prospec Ltd. Classy glass and modern solid surface bench seating, both tasteful and fit for purpose, look out for our case study to follow. 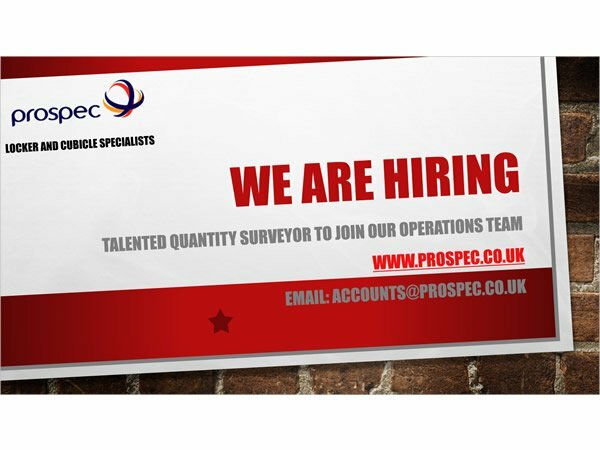 Prospec Ltd are looking to recruit a talented Quantity Surveyor, to become a valued member of our Operations team. This is an exciting new position and the successful candidate will play a key part in helping to shape this role and the business itself. Please send your CV, cover letter, and salary expectations to accounts@prospec.co.uk (no recruitment consultants). We are delighted to introduce our fresh new laminate colour collection for 2017. We have a range of 25 vibrant colours to choose from to suit the ambience of every project. Our new colour chart is available in an email friendly PDF version or as laminate chip colour cards, the new chart also indicates LRV values to aid the selection of colours where regulations require this. Call us now for colour samples, to discuss your project requirements or to use our free mood board service. Prospec are excited to be attending Europe’s leading International Trade Show for Fitness, Wellness and Health in Cologne, Germany. Over the 4 day exhibition, held between the 6th and 9th April 2017, we will showcase our industry leading products to over 150k visitors from the leisure industry. Come and find us on stand C16 in Hall 8!! When Architects Datafile Magazine wanted an informative article on specifying Cubicle and Lockers, they turned to the leaders in leisure. 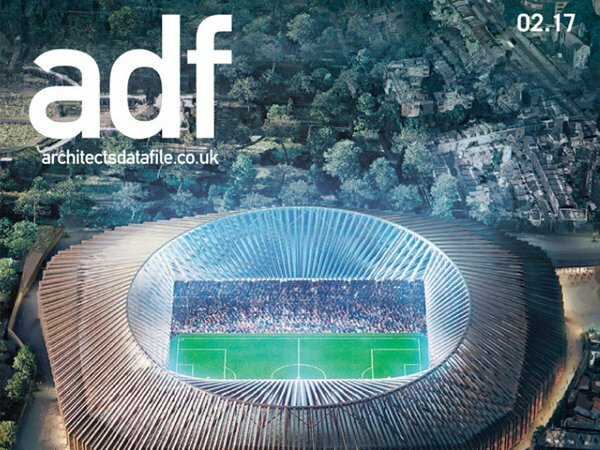 Vernon Charles, Prospec Sales and Marketing Director, provides an editorial for the latest copy of the magazine which will reach an audience of 18000 architects. The Glasgow Club within Kelvin Hall hosts a state of the art Super Gym, an eight-court multipurpose sports hall, three dance studios and a gymnastics hall, making it one of the biggest indoor sports facilities anywhere in Scotland. 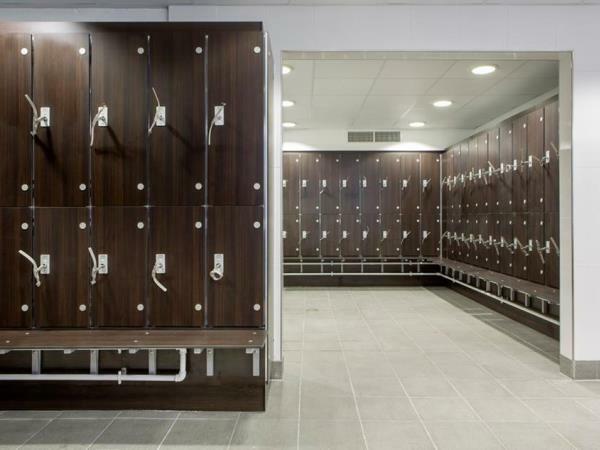 Page Park specified Prospec to supply and install the club with Prospec Marathon ‘Health Club’ lockers. Manufactured from a high density MFC locker body with solid grade laminate doors in striking colours from our wide collection, the lockers are integrated perfectly to the changing areas and corridors with a bespoke solid oak hardwood and toughened glass upstand. Designed by Young and Gault Architects and delivered by McLaughlin and Harvey, the clubhouse at the Torrance Park Golf Club was completed in August 2016 to compliment the par 71, 6100 yard course set in the beautiful moorland of North Lanarkshire. To match the style and elegance of the course, Young and Gault specified Prospec to deliver the highest quality glass and laminate products on the market for the changing and washroom facilities. 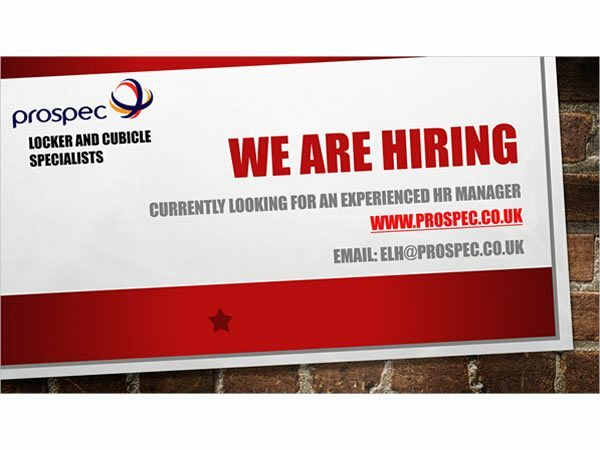 Prospec are pleased to announce an exciting opportunity to join our Sales Team!! 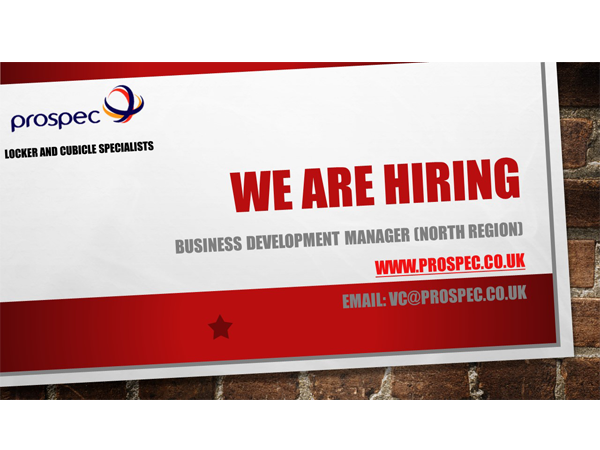 We are currently recruiting for a new Business Development Manager covering the North Region. If you would like to find out more about the role, please email vc@prospec.co.uk for further information. Oct 21 2016 Prospec Pretty in Pink! 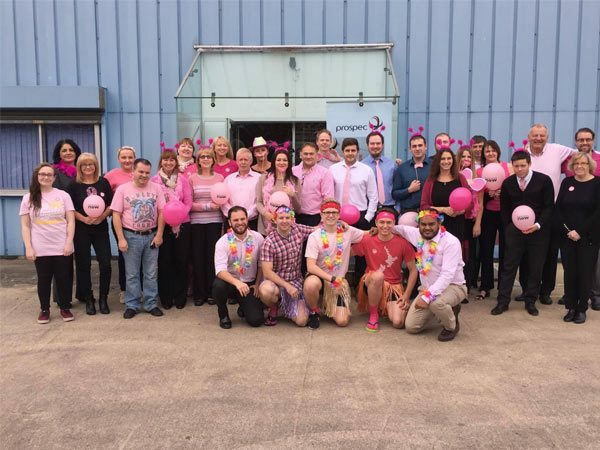 Prospec team were keen to participate in “Wear it Pink day” today to raise funds for breast cancer research. Lots of enthusiastic costumes, pink cakes and games. Great day for a worthy cause. 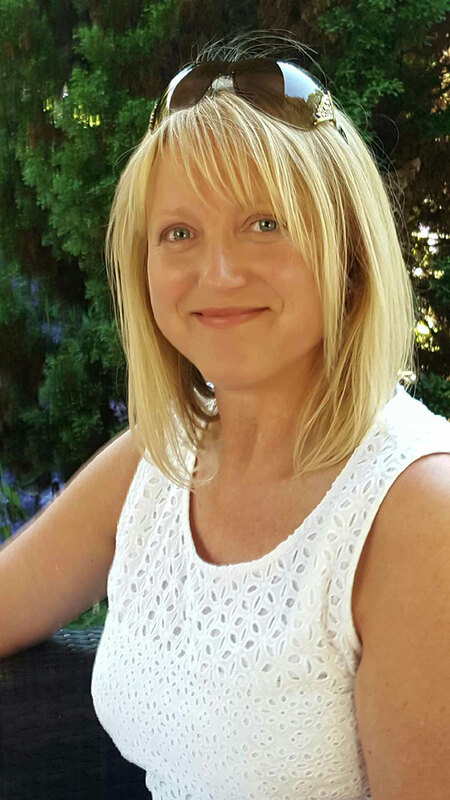 Please meet Hannah Knight who is Business Development Manager at Prospec and one of the presenters of our RIBA approved CPD. 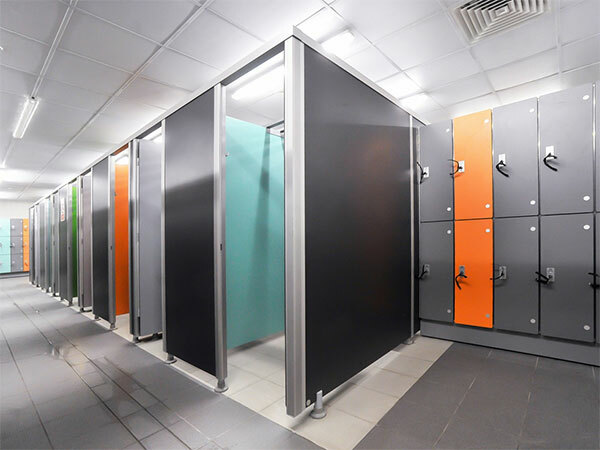 Our new CPD "Specifying Cubicles and Lockers for Leisure Centres and Sports Venues" offers the audience a fascinating technical insight identifying the detail that makes the difference and the pitfalls to be avoided. If you would book or ask us about your RIBA approved CPD presentation please contact us at marketing@prospec.co.uk. Who knows, maybe it will be Hannah who will be presenting our RIBA approved CPD at your practice. 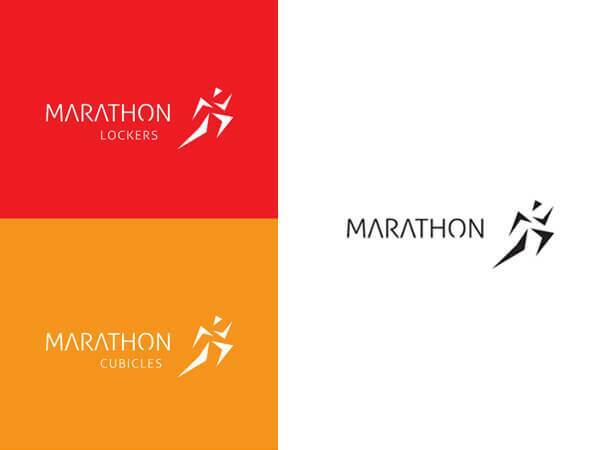 Aug 22 2016 Prospec has given the original Marathon logo a 2016 makeover! Marathon was created in 1989 and incorporates Prospec range of lockers and laminate cubicle systems. Marathon is the symbol of our products quality, durability and longevity. 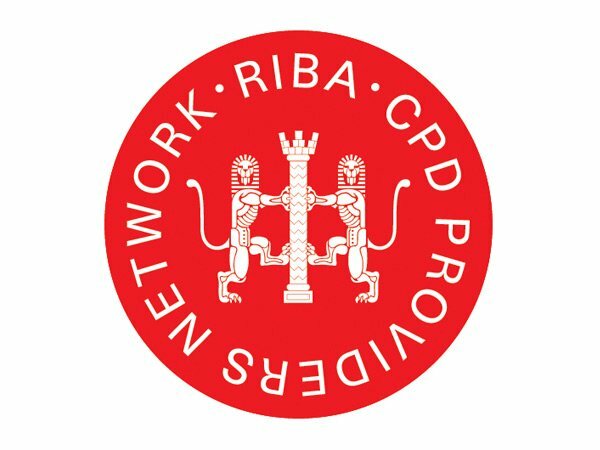 Prospec Ltd is delighted to be a member of the RIBA approved CPD Providers Network. 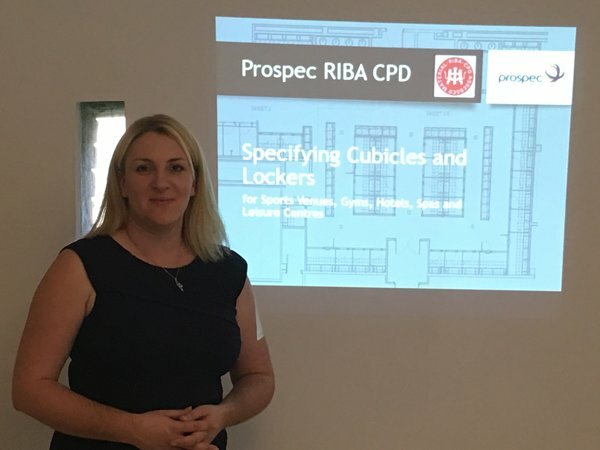 Our new CPD "Specifying cubicles and lockers for leisure centres and sports venues" offers the audience a fascinating technical insight identifying the detail that makes the difference and the pitfalls to be avoided. The CPD is delivered by our fully trained and experienced representatives and provides a highly detailed presentation accompanied by a range of excellent samples and case studies. Glo Gym is brand new state of the art fitness facility, offering users 24/7 access, situated at the heart of Oldham Athletic Football’s ground, where the main gym offers a spectacular view across the pitch. Designed and specified by the well-established architectural practice NSJR Chartered Architects in Manchester, and delivered by Your Management Solutions Ltd and Parkholme Construction, this spectacular facility boasts a 150 station gym along with fully equipped spin and fitness studios. 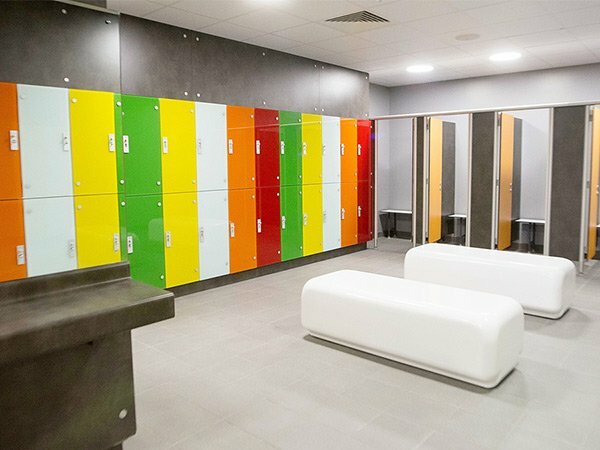 To complement the modern fitness facilities, Prospec fitted out the changing facilities with 100 number 2 tier Marathon wet use glass lockers, with a hasp & clasp locking system, in a bright colour palette of red, green, yellow, orange and white from our standard glass colour range. 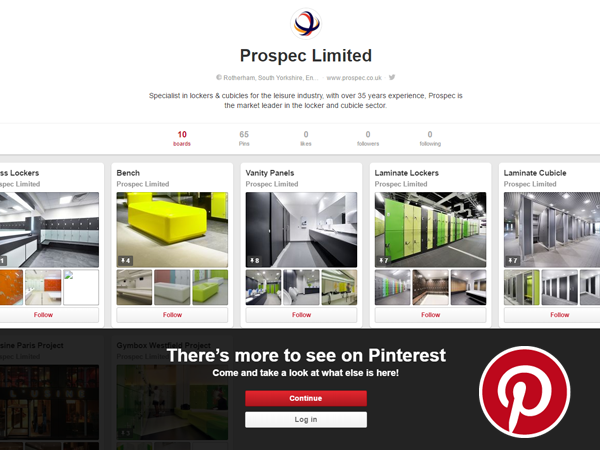 Prospec is pleased to present its new Pinterest account. It demonstrates our range of products and images of our completed projects. The goal of this new site is to provide our customers with a wide range of pictures of our installations and keeping an up to date portfolio of our latest projects. This account also contributes to our continuous improvement policy in regards to our presence on social media. 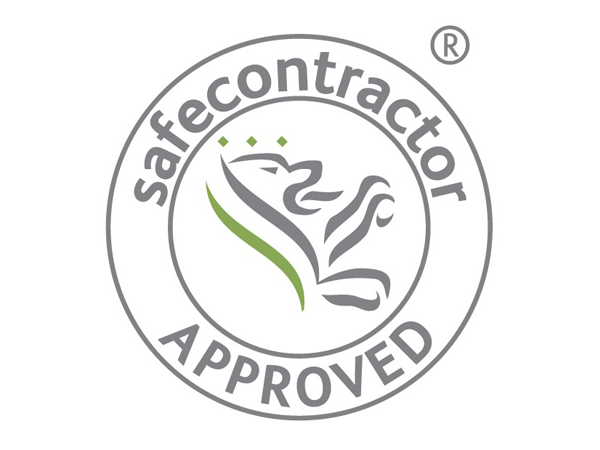 Prospec has again been awarded accreditation from Safecontractor for its commitment to achieving excellence in health and safety. Apr 21 2016 Are You Ready For The New £1 Coin? The last circular pound coin was produced in December 2015 by The Royal Mint. The ‘round pound’ will be replaced in 2017 by a twelve sided bi-metallic coin with a number of anti-counterfeit features. The coin is being launched in a bid to reduce the number of fake pound coins in circulation, of which around 2million are removed every year. The impact of the introduction of the new coin will have a wide ranging effect on the leisure sector, but in particular the locker industry. Please contact our Maintenance Department on 01709 377147 to discuss the options for your centre. 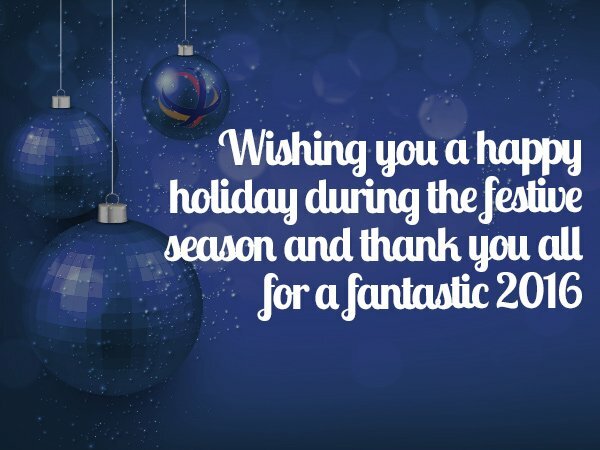 To provide administration support for the sales team. Including but not limited to updating the CRM system, setting up new files, creating, sending & expediting of RFI's, typing & sending quotations. Candidates must be computer literate & Microsoft competent, highly numerate, confident & resourceful with good organisational & communication skills. Ideally with knowledge of the construction industry. The £15m lifestyle centre delivered by Kier Construction, due to open in April 2016, is a modern leisure facility and community, hub designed to enhance the health and well-being of the people in the local area, within the new Civic and Cultural Quarter of Crewe. The Centre features an eight-lane, 25m competition-standard pool in addition to an adjoining 17m learner pool, along with a multi-purpose four-court sports hall, library and café. 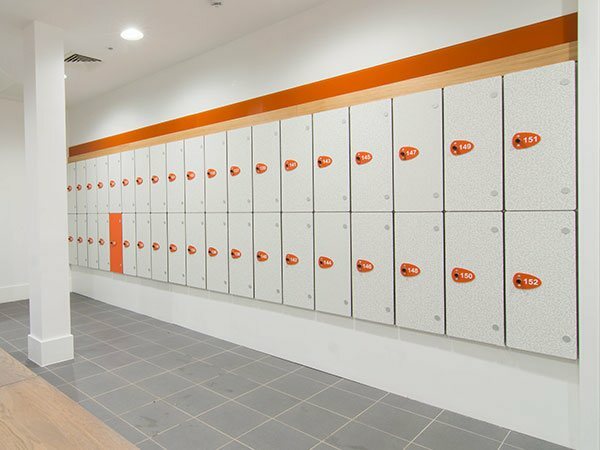 The pool, gym and changing rooms will occupy one side of the building, which is where Prospec supplied and installed over 200 wet use laminate lockers. 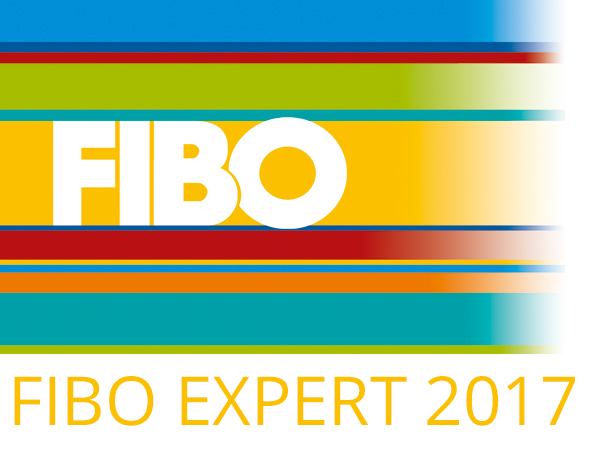 FIBO is a 4 day event held from 7th April to the 10th April 2016 at the Exhibition Centre in Cologne, Germany. It is an International business platform for managers, distributors, suppliers, investors and decision makers in the fitness, wellness and health industry. Prospec Limited are delighted to welcome Vernon Charles as our new Sales & Marketing Director. Vernon joins Prospec Limited from Therser IPS Ltd, where he was Managing Director, and has also previously held senior management positions and directorships within other successful businesses in the cubicle and washroom manufacturing sector. 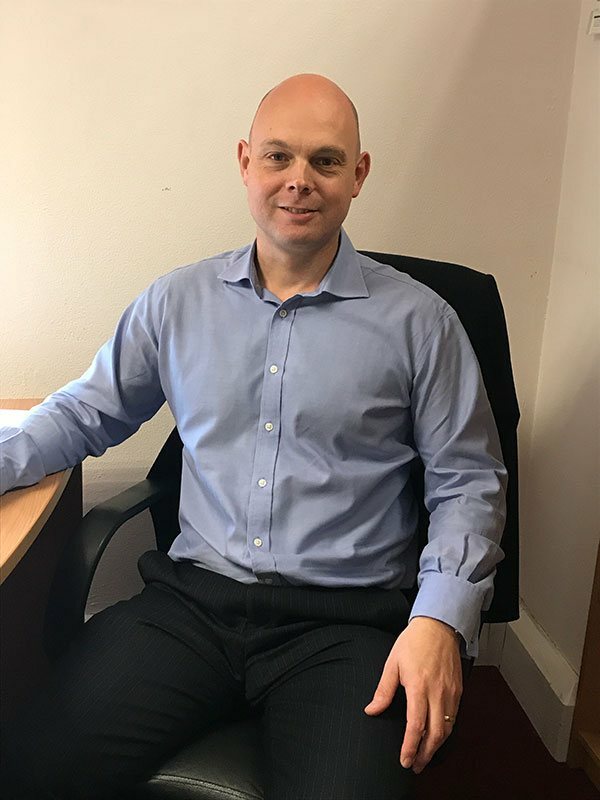 Vernon has over 20 years’ experience, so brings with him a wealth of knowledge and key industry contacts, along with extensive technical expertise and passion for sales, which will prove invaluable in driving Prospec forward. Vernon’s key focuses for Prospec are building on the tremendous success of the sales team, introducing new product lines and providing unrivalled customer service. As a highly motivated and driven Director, with a proven track record, it is without doubt Vernon will be highly successful in his new role. Vernon takes over from David Pringle, who Prospec would like to thank for all his hard work and efforts during his time here, and wish him every success with his new role as Managing Director at Bailey Artform. Interested? contact Vernon Charles directly, no agents or recruitment companies please. 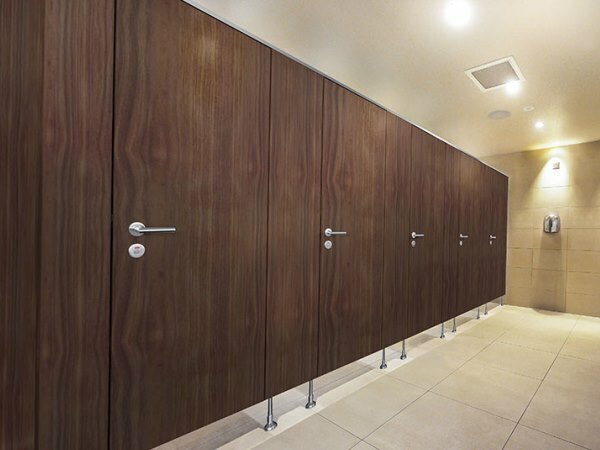 With origins going back over 100 years, Prospec is the market leading supplier of cubicles and lockers in the washroom industry. 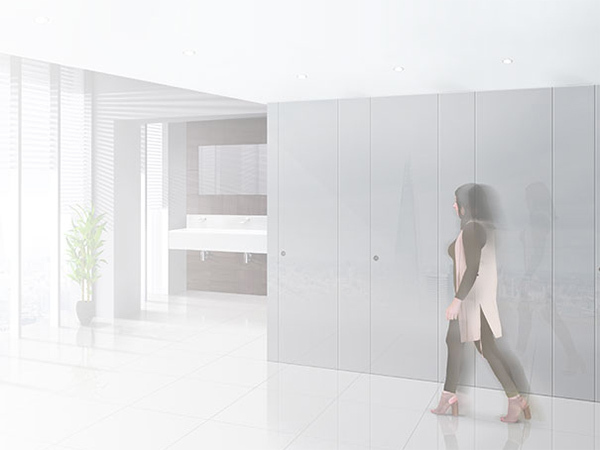 both specialists in leisure and experts in glass, Prospec offers lockers and cubicles to leisure, commercial offices, education, retail and infra-structure sectors. Prospect's extensive range of innovative products along with our bespoke design service is certain to satisfy all project requirements. We are proud to uphold a reputation for innovation, product quality, delivery and installation service. Click the image to send an email to Vernon Charles regarding this position at Prospec. 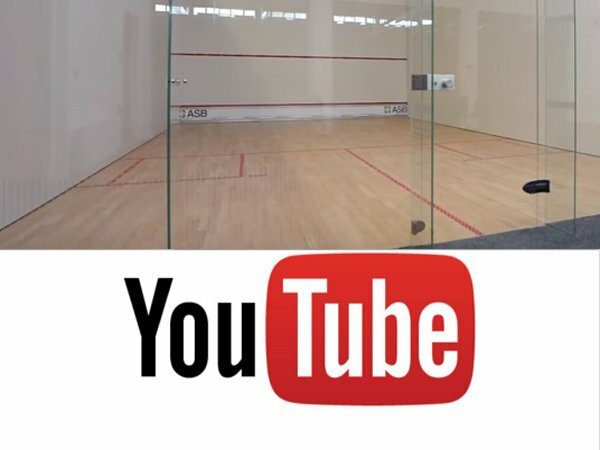 Prospec are delighted to see the 3 Ellis Pearson squash court glass walls feature in the YouTube clip of the new £44m Consett Academy and leisure centre complex. 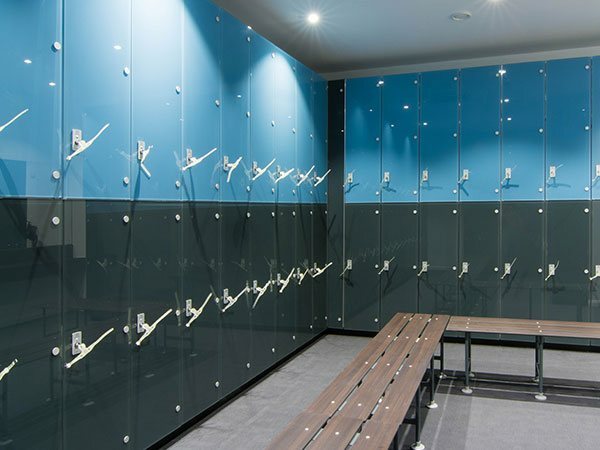 The glass walls supplied by Prospec were installed along with the fully equipped changing facilities, featuring lockers, cubicles and complementary products. The brief film highlights the fantastic, high quality, facilities the brand new state of the art centre has to offer. 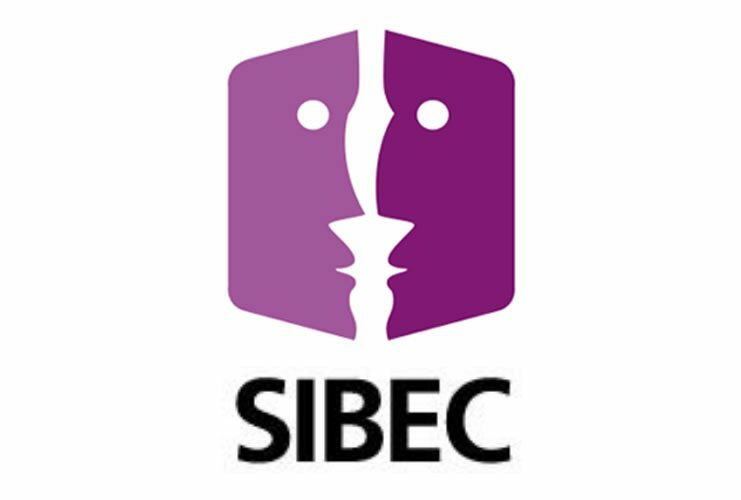 Prospec delegates David Pringle and Reem Ahmed recently attended Sibec Europe 2015, which, this year, was located at Meliá Villaitana, Alicante, Spain. David and Reem met senior executives, operators and suppliers, the key decision makers and major operators from the most prominent health and fitness, leisure, private, local authority and trust markets from across UK and Europe. They conducted a months' worth of meetings over two intensive days of one-on-one meetings, meals and other planned networking activities. The successful event forged new and cemented existing relationships. Prospec look forward to developing the contacts and projects initiated at the event. Prospec lockers feature in film again. Checkout the Gymbox play hard YouTube video and have a glimpse into the world of Gymbox, where they put their members through the trendiest paces possible. 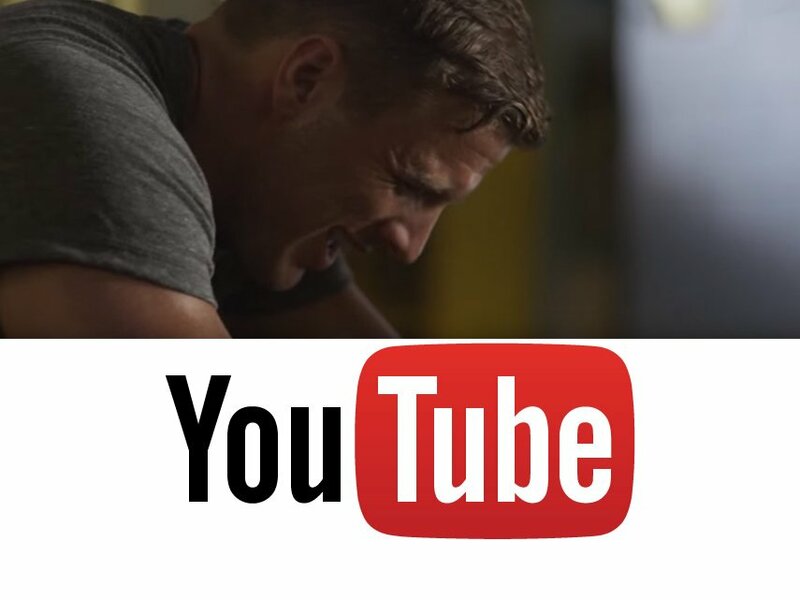 You’ll feel like you've had a workout just watching it. Pay extra attention to the twist at the end! It’s amazing what you can fit in a Prospec glass locker. Also visit our case studies page for a look around the changing facilities of the latest Gymbox club in Stratford. The advert can bee viewed on YouTube by clicking the image. 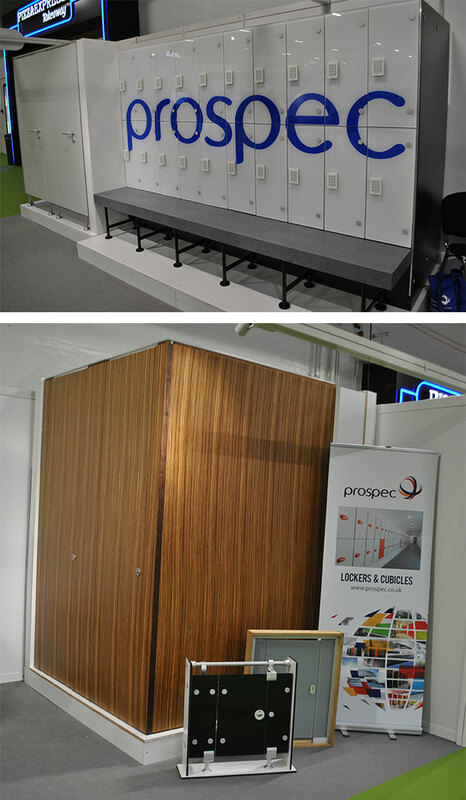 Prospec are excited to see that our lockers and cubicles appear in the new Android UK TV advert. The advert tells the story of London's ‘Swim Dem Crew’ which was founded in 2013 by Peigh Asante, Nathaniel Cole and Emily Deyn. It shows the transformation of non-swimmer Peigh in to a confident and capable swimmer, who along with his ‘crew’ who would not normally swim, to get into the water and eventually overcome the fear of the open water. 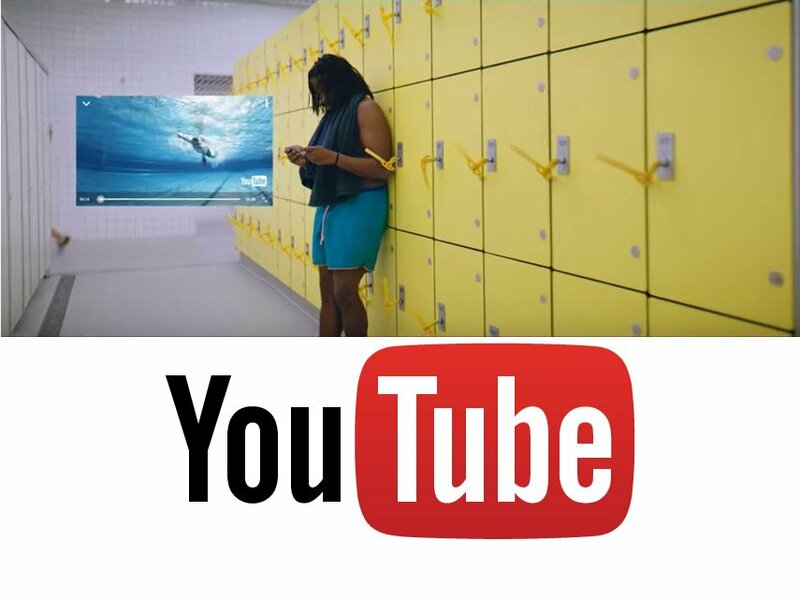 A number of scenes from the inspirational advert were filmed at the London Aquatic Centre where Prospec installed laminate wet use lockers along with Conform cubicles, which were specifically designed and installed for the London 2012 Olympics. Along with the advert being aired on TV it can bee viewed on YouTube by clicking the image. 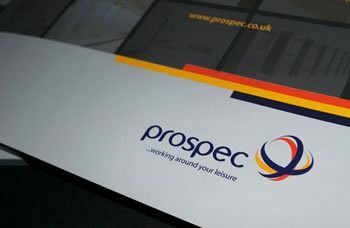 Prospec are pleased to announce the launch of its fully-featured website www.prospec.co.uk. The new site has extensive content including full product range details technical resources, a dedicated maintenance section including online shop, and case studies of recently completed projects. The objective of the new site is to provide key information in a user friendly format, on all our products, along with all technical data, specifications and colour options, in one place. We hope to provide all the essential project planning tools for potential and existing specifiers and customers. We would love to hear your thoughts on the new site along with any other features you feel would be beneficial. 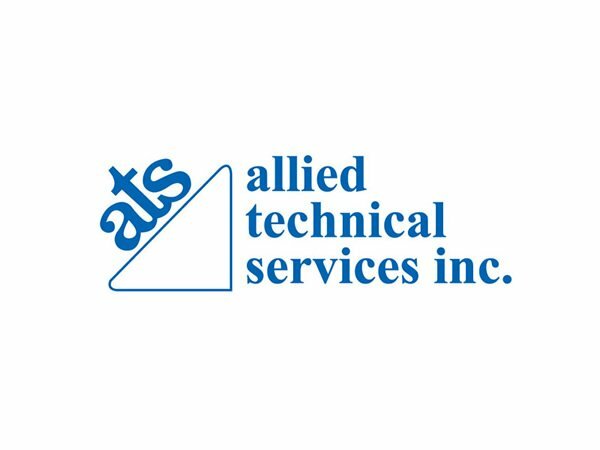 Prospec are pleased to announce that our global reach extends within North America following the agreement with our new Canadian partners ATS - Allied Technical Services, based in Toronto. 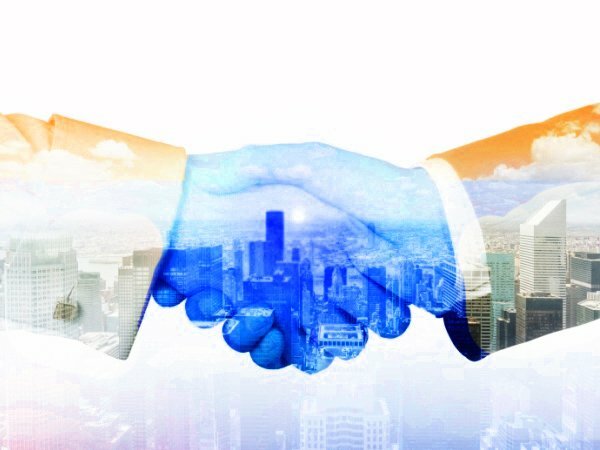 This alliance opens up new and an exciting opportunity for both companies to reach new markets. 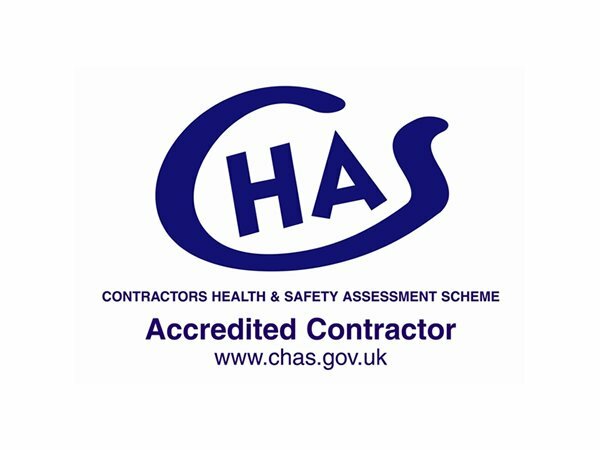 We are pleased to advise that, yet again, we have been successfully CHAS assessed and accredited. Please do not hesitate to contact the office should you require a copy of our new certificate for your records. 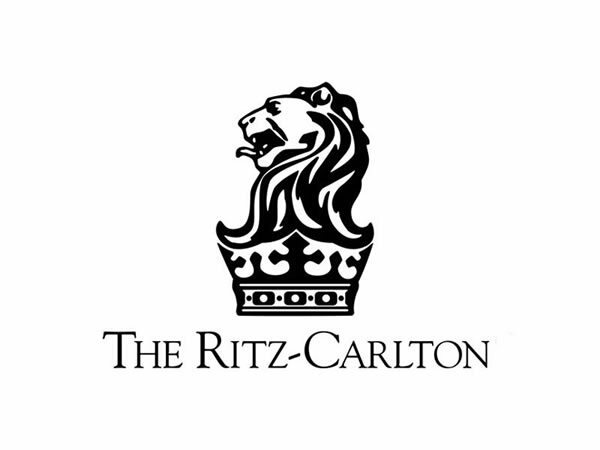 Our New York partners Carvart have secured a project with the iconic Ritz Carlton Hotel in San Francisco, using our Cloud glass cubicle system. Specially adapted and machined curved footplates were manufactured to comply with the strict local sanitary codes. 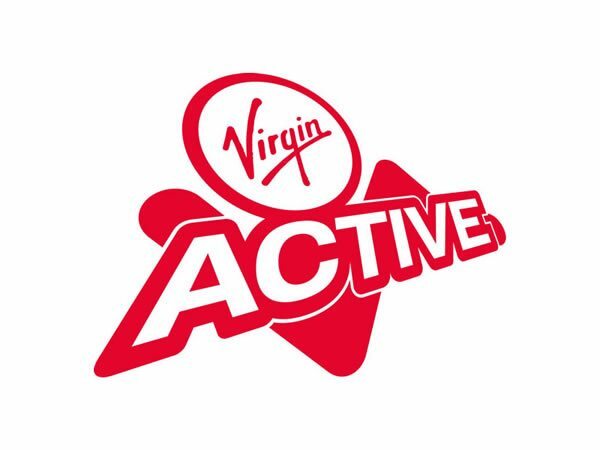 We are delighted that our long term client, Virgin Active has opted to use our flagship Cloud cubicle system and Trojan glass wall lining, for the toilet cubicles at their new Walbrook facility in Central London. In addition to this, we have installed our Cabrillant 700 range for all of the Male & Female shower areas. 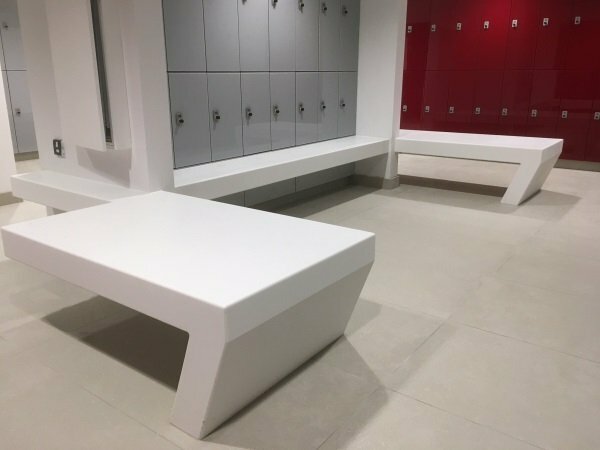 Have a look at our Frome Leisure Centre project, we were delighted to supply the centre with a range of our products which includes our Classic Cubicles and Marathon Wet Lockers. On Saturday 2nd July, the brand new Frome Sport & Fitness Centre was officially opened by the Mayor of Frome, Councillor Toby Eliot and Councillor Edward Drewe (Vice Chair of Mendip District Council), following its extensive £2.5 million refurbishment. 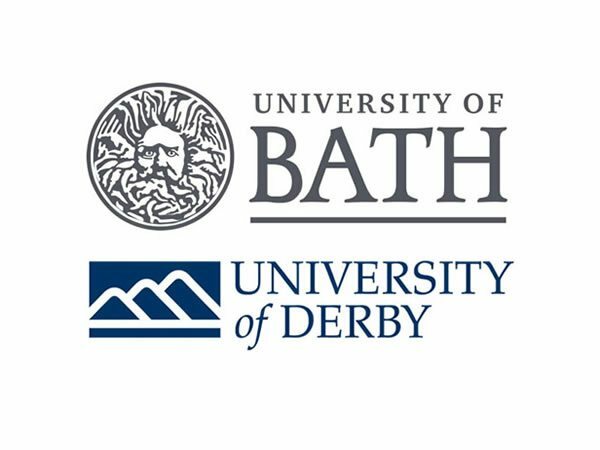 We are pleased to announce that we have secured two significant projects this month in the Higher Education sector and are delighted that both the Universities of Bath & Derby have had the confidence to use our cubicle and locker systems. This adds to a growing list of contracts completed in this strategic sector. 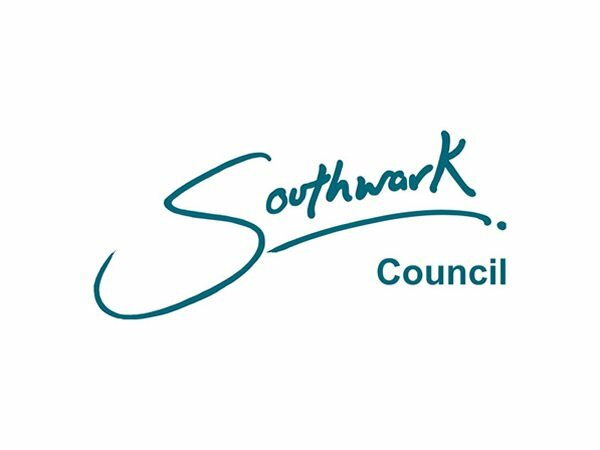 We are delighted to continue our long standing relationship with AFL S&P architects and have recently secured the redevelopment of The Castle Leisure in Southwark, working with Balfour Beatty Construction. The project includes our Classic Cubicle, Marathon Locker & Trojan duct access systems. Scheduled to complete in Autumn 2015. Prospec are excited to launch the new Cloud cubicle system. 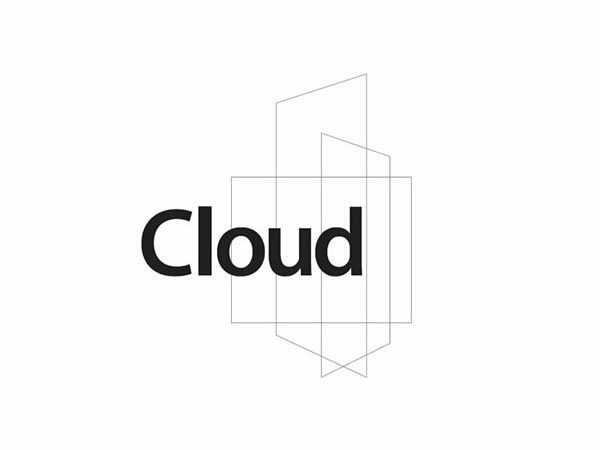 Cloud is a highly engineered, full height glass toilet cubicle system that has been developed for the commercial washroom sector and is manufactured using 15.52mm toughened & laminated safety glass, machined components and aluminium extrusions. Designed by our in house product development team and tested independently with Sheffield Hallam University. We have used our years of experience from working with glass and created a toilet cubicle system that should be the centre stage of any modern commercial building development. 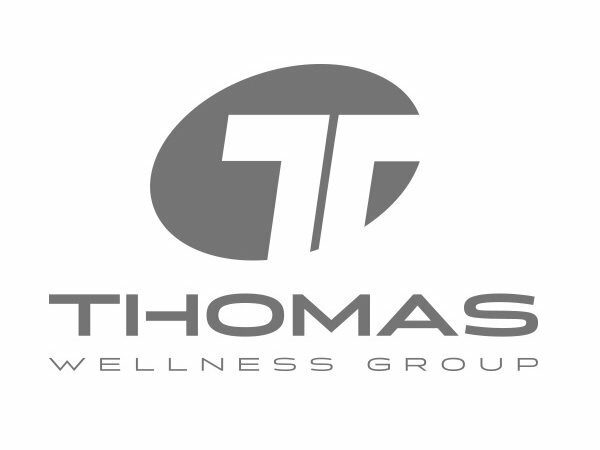 Prospec are happy to welcome on board the Madrid based Thomas Wellness Group as a strategic partner in Spain. We are looking forward to expanding our market place further into Europe and this partnership offers exciting opportunities for both companies. 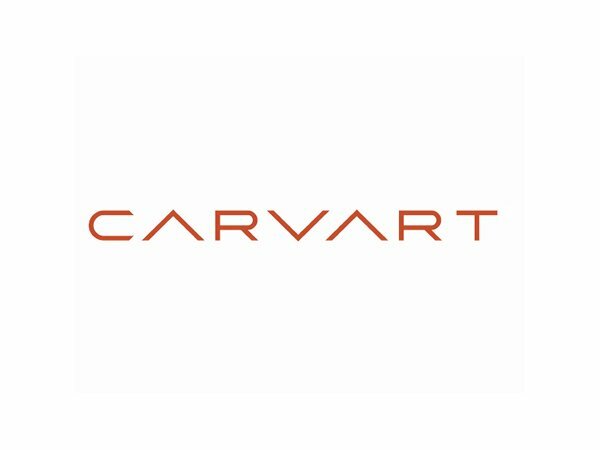 Prospec are pleased to now be working in full partnership with influential New York glass manufacturers CARVART, expanding our products further in the USA. Led by Edward Geyman, the operation started over 20 years out of a Brooklyn factory, which has now and turned into a thriving architectural glass business with high-fashion, luxury design clients from across the country and Europe. We are delighted to announce the merger between Prospec Limited & the French based leisure product manufacturer. The Abeo Group. 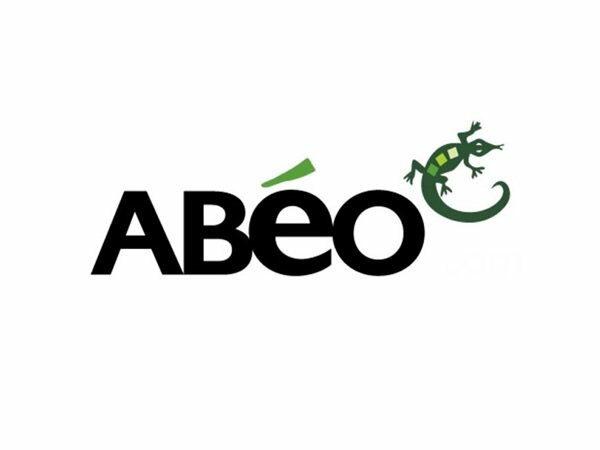 The Abeo Group currently employs over 600 people worldwide, working in 19 separate sites, in 18 different locations, with a global turnover in excess of 68,000,000 GBP. 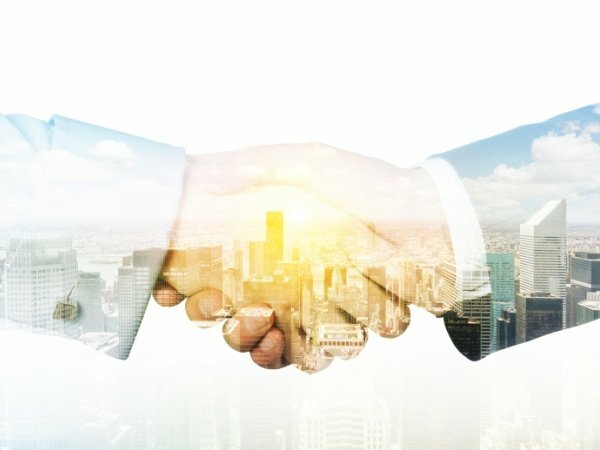 This exciting partnership will allow Prospec to consolidate and build upon its excellent reputation in the UK leisure market, with significant investment in new products, manufacturing synergies and operating systems. Importantly, Prospec will retain its existing identity, governance structure and operate as a subsidiary of The Abeo Group. The existing board members, Bob Mitchell and Mark Spicer, will be joined by David Pringle as Sales Director. They will also be joined on the board by Olivier Estèves CEO of Abeo, plus Jerome Bourquard and Brice Clavel. Jon Pearson, Chairman and Director and Ron Frisby, Sales Director both retired from the business at the end of 2012. We trust that you will view the news as a positive step however, if you have any concerns or simply wish to discuss the matter in further detail, please do not hesitate to contact ourselves.